Fresh, frozen or deep-frozen. 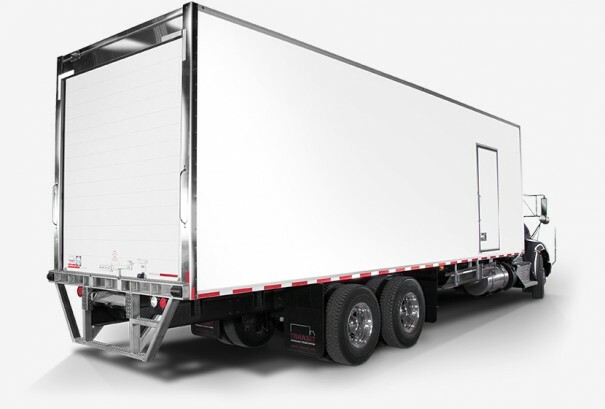 We offer all insulation options for reefer truck bodies. Choose the perfect truck body for your merchandise. Keep your cargo cool and safe thanks to high quality insulation and innovative technologies. Reliable refrigeration and tested reefer technology. Frio™ truck bodies use a new and proven technology that provides more reliable and consistent temperature while reducing your maintenance and operating costs. Cool your cargo for less with Arctik™, a high-quality refrigerated truck body that’s been offering reliability for over 35 years.